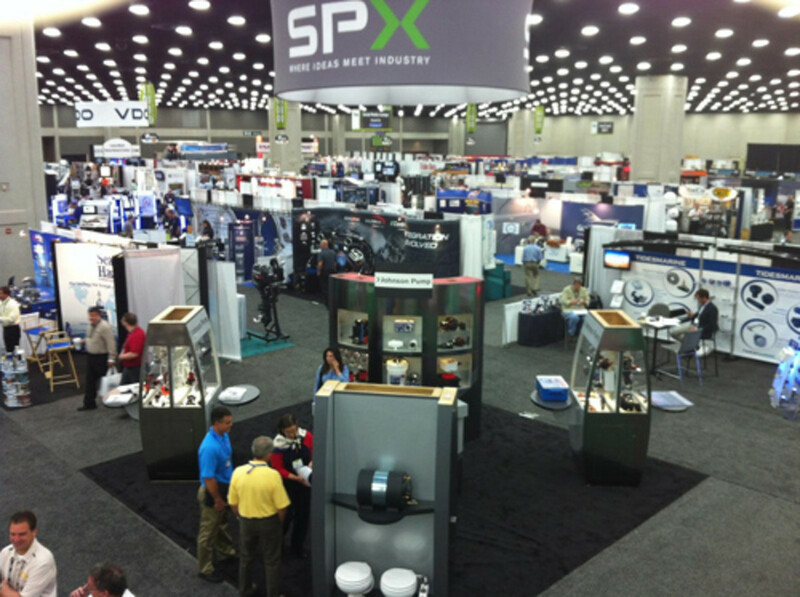 LOUISVILLE, Ky. — As expected, the floor aisles at the Kentucky Exposition Center were busier on Wednesday, the second day of the International Boatbuilders’ Exhibition & Conference. Walking the floor and chatting with some of the more than 500 exhibitors from 50 countries, I found that two common themes emerged: Business is clearly on the uptick and companies find value in exhibiting beyond introducing a new product. Harold Del Rosario, of Greenline North America, was manning one of several complete boats on display near the back of the convention center — the Greenline 33, a stylish diesel-electric cruiser built in Slovenia. Greg Miller is vice president of sales for PierVantage, a new marine-specific company that develops cloud-based solutions for boatbuilders and boatyard service centers to safely secure data off-site. “Particularly in the wake of Hurricane Sandy, we tell our clients, ‘Worry about your boats, worry about your people, but don’t worry about your data,’ ” Miller said. Exhibiting for the second time at IBEX, PierVantage was there to announce the relaunch next week of its redesigned website and to connect with potential prospects, Miller said. Chip Walsh, product manager at connectors and interconnect component manufacturer Molex, said his company has exhibited at IBEX for more than 15 years, “through thick and thin,” with thin being the Great Recession, which began in 2008. Nearby, Simon Dube, plant manager and engineer at Veralex, a Canadian-based maker of boat windshields, was displaying his latest design, a frameless windshield that was an Innovation Awards entry. The seamless windshield should produce “big-time” business for Veralex at the show, Dube said. Todd Riccardi, a sales representative at Bainbridge International, said his company was back at IBEX for the first time since 2008, when the global market tanked. Bainbridge recently picked up the Yale Cordage pleasure marine line and Plastimo and will soon open a new warehouse in Pompano Beach, Fla.